Tackling the greatest challenges of the Agenda for Sustainable Development, will depend on harnessing all talent, and today, more than ever, science and gender equality are equally vital to drive sustainable development. Despite this truth, women account for only 30% of the world’s researchers, and with even lower percentages at higher decision-making levels. In response, L’Oréal and UNESCO founded the For Women in Science(FWIS) program in 1998 with the mission to empower more women in the field of sciences by increasing the number of women in scientific research, promoting more young women to enter the profession, and to assist them once their careers are in progress. Since the launch of FWIS, the program has supported more than 3,100 women scientists from 117 countries, and celebrated 102 renowned scientists at the peak of their careers including three who have won a Nobel Prize. The program has increased the visibility, career opportunities, and self-confidence of women scientists across the world. The Philippines has had the privilege of seeing Dr. Lourdes Cruz win as a Global Laureate (2010) for her work with snail toxins, and has had four Filipina scientists awarded as National Fellows (2011 and 2012). June 5, 2018 marks a milestone for the Philippines as FWIS celebrates the return of the program in the Country through the awarding of the newest FWIS National Fellow. 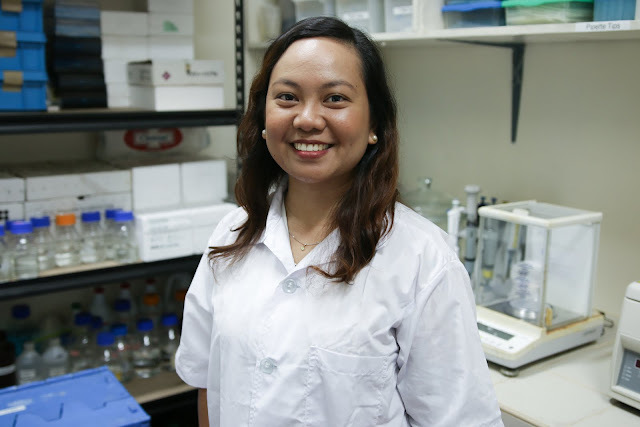 The program’s return to the Philippines cements L’Oréal’s strong commitment to pushing women empowerment and leadership in science in the Philippines. “The L’Oréal-UNESCO For Women in Science program was founded with the mission to ensure that critical research across various fields in science takes full advantage of the intelligence, creativity, and passion of women,” shares Ms. Carmel Valencia, Corporate Communications Manager of L’Oréal Philippines. "We have been immensely proud of the work of our Laureates, Fellows and all the awardees across various fields, each proving to be vital in contributing towards sustainable economic growth, social development, and environmental sustainability. They all serve as testament to our belief that women in science truly have the power to change the world,” she asserts. More than just an awarding ceremony, the forum tackled the multifaceted challenges of gender inequality in the field of science, recognized women’s contributions across various fields, and underscored the critical need for their full participation in driving the sustainable development agenda. To solidify their commitment to drive increased women participation and success in the field of science, a six-point manifesto was signed by representatives from L’Oréal, UNESCO, National Academy of Science and Technology (NAST), and the scientific community. The forum also featured distinguished panel speakers and women leaders from the scientific moderated by Ms. Rina Jimenez-David including Dr. Didith Rodrigo, Scientist and Author of “Women in Science” Children’s Books; Dr. Marieta Sumagaysay, Executive Director, National Research Council of the Philippines; and Dr. Laura David, FWIS Philippines National Fellow 2011; and Dr. Aletta Yñiguez, FWIS Philippines National Fellow 2012, to name a few. Each shared on their experiences as Filipina scientists and the opportunities that they see for more thought-leaders in the community. Through the discussion, it is L’Oréal’s and UNESCO’s hope to encourage visibility on the challenges and breakthroughs of Filipina scientists and push more sectors to provide support. In its first year back, FWIS awarded one outstanding woman scientist who is leading with her study in chemical oceanography. Dr. Charissa Ferrera is recognized as the FWIS Philippines National Fellow 2018. With a relevant and timely research on the water quality in coastal areas and fishing localities particularly Bolinao and Anda, Dr. Ferrera pushes for sustainable mariculture by advocating to help communities recover from effects of pollution through effective science communication. “I see my win as an opportunity to create a ripple effect that will allow for more individuals to be inspired to pursue careers in science,” shares Dr. Ferrera on winning the fellowship. As a woman who dared to ask, she hopes to encourage women who want to become researchers to stay motivated. “Look for opportunities because they are there and do not be afraid to ask. Always go for what you want and keep going no matter the circumstances,” advised Dr. Ferrera.